Tola Okogwu is a British blogger, well known within the blogging community for her videos and articles on Black hair care. 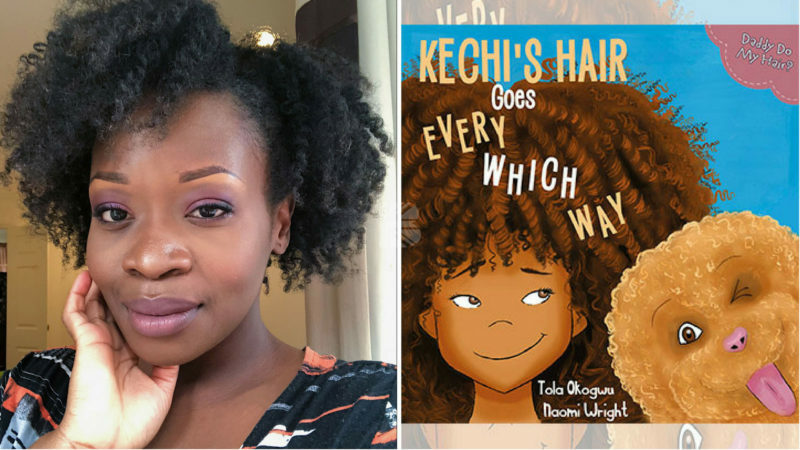 Okogwu is also the author of the Daddy Do My Hair series for children, and her third book in the series Kechi’s Hair Goes Every Which Way was published in May 2018. We spoke with Tola about her writing, her work as a hair care coach and her desire to tackle the relationship between young black girls and their natural afro hair in a vibrant, entertaining and educational way. You are a hair care coach, blogger, author and run your own publishing company! How do you keep all these things in balance especially being a mum to two young children? Lots of planning and organisation! I have an administration background so that helps. In all honesty, I’m a working mum, so sometimes I drop some balls. The main thing is I try not to beat myself up too much about it. There are times that I have to pull back on work because my kids need me more and other times when work takes precedence. I’m lucky that I have a very supportive husband who is able and willing to pick up the slack. The Daddy Do My Hair series is very popular amongst parents, teachers, and children. What was your inspiration or reason behind writing the series? I came across a powerful illustration online of a black father doing his daughter’s hair. 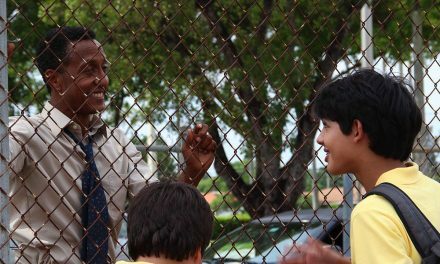 Its impact was heightened because it reminded me of the relationship between my husband and daughter and how passionate he is about playing an active role in her life. Because of my working hours, he takes her to nursery 3 days a week and so he stepped up and learned to do her hair so that I wouldn’t have to put it into damaging long-term styles. The moment I saw that illustration, the title ‘Daddy Do My Hair’ popped into my brain. I loved the idea of a book that celebrates a father taking an active part in making his daughter feel loved and beautiful. 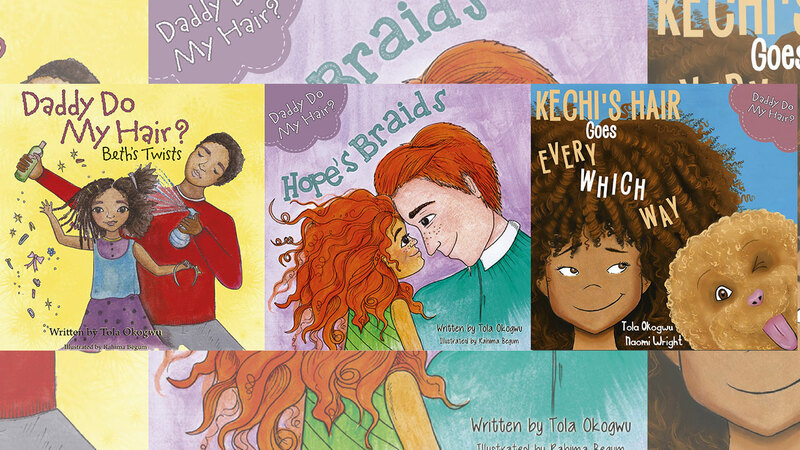 Tell us about your latest book in the series, Kechi’s Hair Goes Every Which Way? 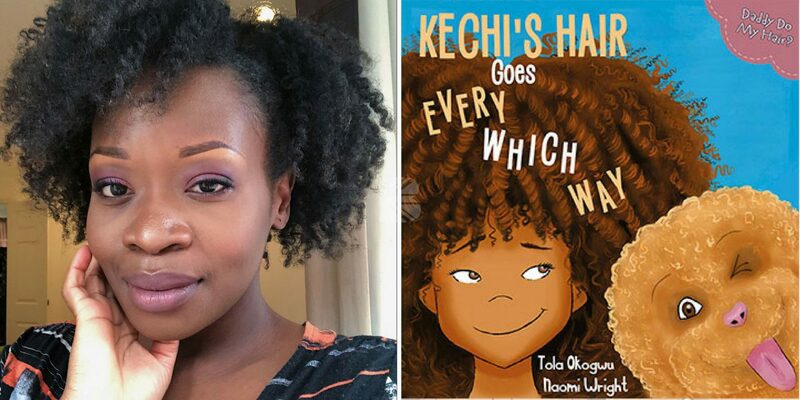 Kechi’s Hair Goes Every Which Way is a fun picture book which tells the story of Kechi’s beautiful big hair, her doggy sidekick Butterscotch and their attempt to bamboozle her inexperience dad, who’s just trying to make sure she gets ready in time for school. 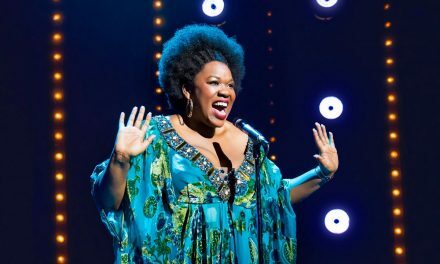 As a character, Kechi represents every little black girl and will hopefully encourage them to fall in love with their beautiful natural afro hair. 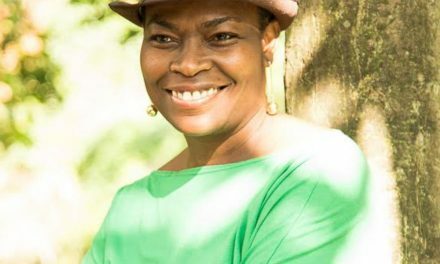 More and more BME authors including yourself are opting to self-publish their work. Would you advise aspiring authors to do this rather than attempt to ‘break the ceiling’ of the traditional publishing route? I think every aspiring author should try to get a traditional publishing deal, it’s a lot less hassle and work. Look at Tomi Adeyemi and her six-figure advance. Yes, it’s rare, but it is possible. However, if it doesn’t work out then it’s important to know that there are other options, of which self-publishing is one. The alternative is to let your stories die and I wasn’t willing to do that just because of an antiquated industry. It’s why I decided to self-publish, I was fed up with waiting for the publishing industry to enter the 21st century. If we as people of colour want to see more diversity in the books we read, toys we play with and movies/TV shows we watch then sometimes we have to get up and create them ourselves. The time of waiting for others to do it for us is over. If you can’t get an invite to the table, build a new one! What would your main piece of advice be for authors wanting to self-publish? Learn about the publishing industry because you’ll need that knowledge to effectively navigate it. Also, focus on producing high-quality output as self-publishers already have a very bad reputation within the industry. Are there more books in the Daddy Do My Hair series to come? Yes, there are but the series is on a short hiatus for now. The next book will feature a male character as I keep getting requests to feature a father-son dynamic. Tell us more about your role as a hair care coach. What does this entail, and how and why did you start? It’s something that I’ve been doing in some way shape or form for over 8 years and recently began offering as a formal service. Ever since I started my hair care blog and also started taking better care of my own hair, I’ve had women from all walks of life asking for advice on how they can achieve the same results. I quickly realised that the main issue is a lack of knowledge about afro-textured hair and an oversupply of often conflicting information. My job is to de-mystify the process for my clients and build them an effective hair care plan, which suits their needs and lifestyle so that they can achieve results. I have several coaching packages and I recently launched a hair care e-book series. Together with hair care coaching, books, and other media that feature a more diverse representation of Blackness and Black Beauty, as well as the growth of the UK Natural Hair movement in general, do you see a change in how people are embracing their natural beauty? For black people, hair is so much more than just what grows out of our heads. Along with our skin colour, it’s the biggest signifier of the differences between us and other races and for the longest time we’ve been made to feel that there is something wrong and unattractive about both. 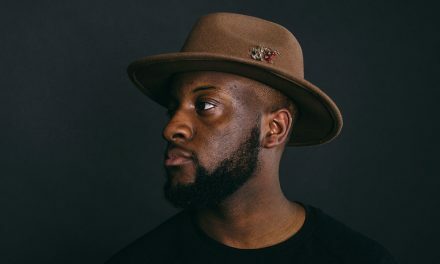 I think there is a deep-rooted issue of disconnection and self-hatred that needs to be addressed if we are going to see a lasting change. I do believe that the change is happening. For me, it starts with teaching the next generation that they are beautiful just the way they are. By showing them positive representations of people who look just like them in the media, in the books they read and toys they play with. And by providing positive role models they can aspire to. We seem to be in a period of black renaissance and it’s very exciting. Do you think this is something that will pass onto the next generation? I hope so, in many respects, adults are difficult as a lot of the damage is already embedded and much harder to change. Children are new, fresh and innocent and with them, we have a chance to change the negative narrative before any damage is done. In your career to date, what have you found the most difficult? How have you overcome? Accepting that I wasn’t destined to follow a set or traditional career path. This is something it’s taken me almost 15 years to realise and embrace. It’s scary because the life of an entrepreneur is unpredictable and risky and I’m very risk-averse. I’ve had to learn to stay in my lane and not let myself get distracted by what others are doing or saying.